The Stages Of Change model is helpful for conceptualizing the mental states of individuals at different stages of their change journey. 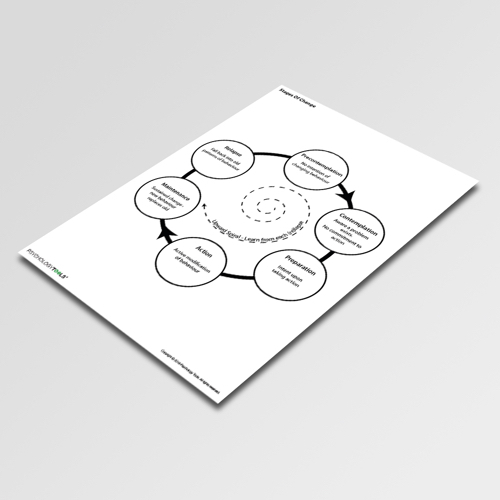 This information handout illustrates the phases of this model (precontemplation, contemplation, preparation, action, maintenance, relapse). Prochaska and DiClemente’s transtheoretical model of behavior change is a way of understanding an individual’s readiness for making behavioral change. 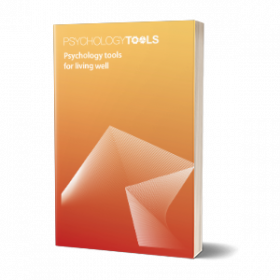 It is often used in addictions work but is applicable more broadly to any area of behavioral change. 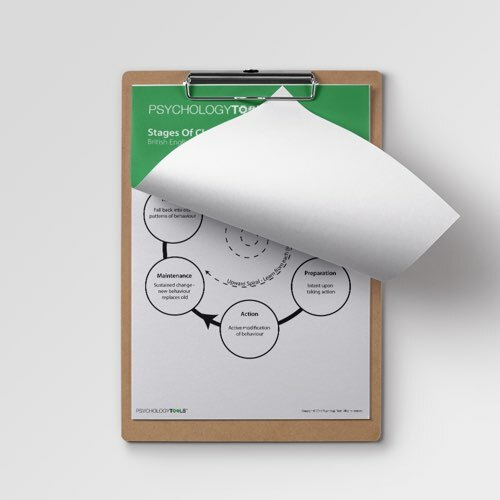 The model is helpful for conceptualizing the mental states of individuals at different stages of their change journey. 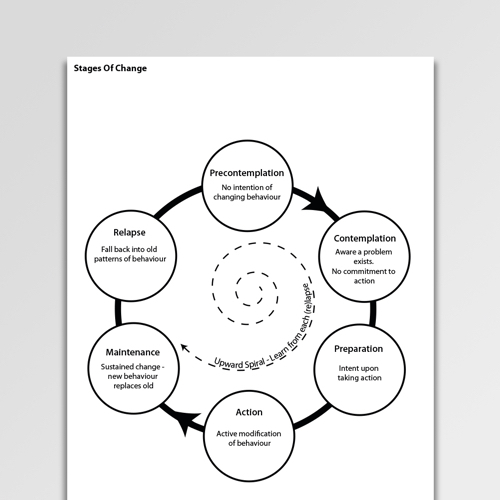 The Stages of Change worksheet illustrates the phases of this model (precontemplation, contemplation, preparation, action, maintenance, relapse). 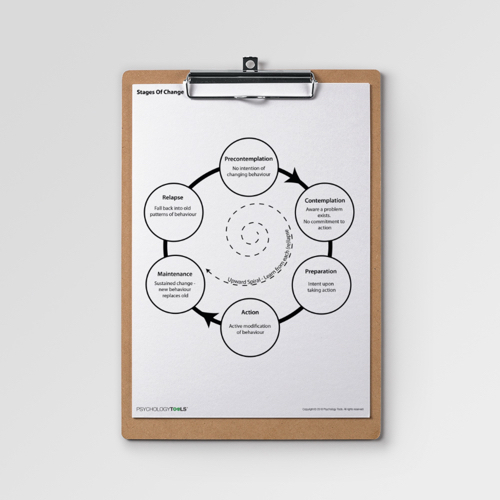 The Stages of Change worksheet can be used as a formulation tool to conceptualise a client’s readiness for change, or as an information sheet to drive a discussion about change. It is a helpful starting point when discussing change with clients. Prochaska, J. O., DiClemente, C. C., & Norcross, J. C. (1993). In search of how people change: Applications to addictive behaviors. Addictions Nursing Network, 5(1), 2-16.